Okay, so how many of you have bought stools for your kitchen and your kids have destroyed them. Over the years we've went through 4 sets! Either the legs weakened from too much leaning, the cushion split or they just looked so bad we had to throw them out. I've donated so many stools to GoodWill that they could probably furnish a bar! I was so tired of replacing them. 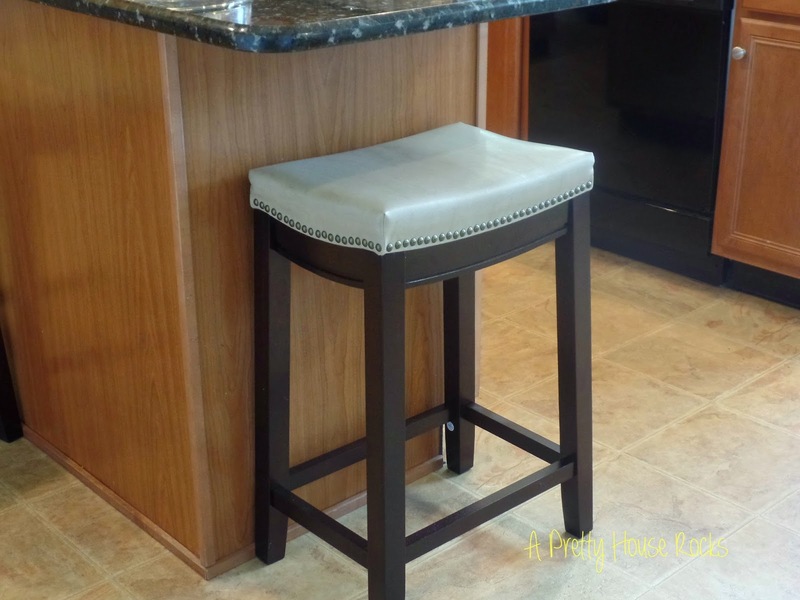 So, I mentioned this to say that I finally found counter stools that are reasonably priced and actually look great! I recently purchased these Linon Allure Counter Stools from Kohls Dept store. They were initially $129.99 on sale for 50% off ...so I got them for $64.00 each! A great deal! I believe they are currently on sale for buy one get one 1/2 off. I noticed the sale fluctuates from week to week. In the store you can get colors such as blue and red. However, online you have a wider range of colors available from grey, lavender and even yellow. I chose the color, "rice" in the counter height....they are super cute! Also available in bar height. 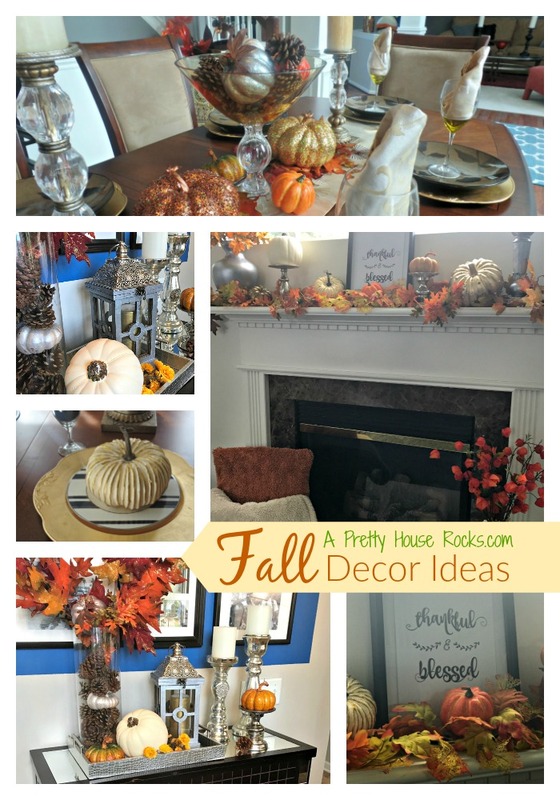 A nice update for your kitchen! The frame of these stool are extremely sturdy. It is actually difficult to lean in these. The nailhead trim is sooo classy and the cushioned seat is very comfortable. 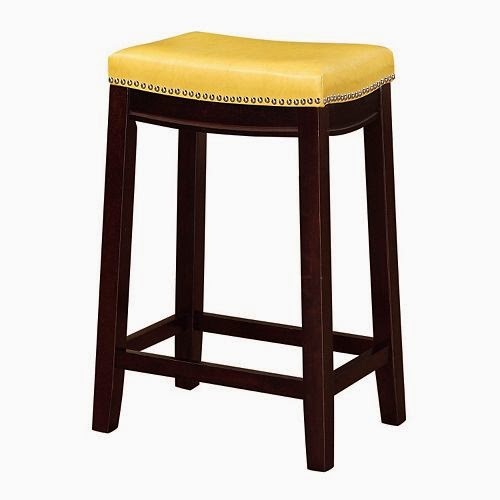 Purchasing a stool in a different color can add that pop of color you may be looking for! Definitely a keeper and a great deal..I think these will last, my kids agree. :-) We shall see.